فرودگاه بین‌المللی ادمونتون (به انگلیسی: Edmonton International Airport) یک فرودگاه همگانی باربری با کد یاتا YEG است که یک باند فرود آسفالت دارد. این فرودگاه در شهر ادمونتون کشور کانادا قرار دارد . Edmonton International Airport provides scheduled non-stop flights to 52 destinations. ^ : U.S. bound flights departing after 19:00, depart from the domestic terminal and do not use U.S. border preclearance. 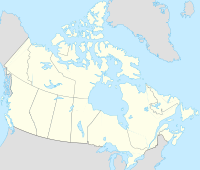 ^ : This flight makes a stop between Edmonton and the listed destination. However, the airline does not transport passengers between Edmonton and intermediate stop. In addition, Air Bridge Cargo، کورین ایر، هواپیمایی اتحاد، لوفت‌هانزا کارگو and ولگا-نپر ایرلاینز fly multiple charters to Edmonton year round. ↑ "Fly Non-Stop | Edmonton International Airport". EIA. 2016. ↑ "WestJet plans additional Belize / Mexico service in W17". Routes Online. ۲۳ ژوئیه ۲۰۱۷. Retrieved ۲۳ ژوئیه ۲۰۱۷. ↑ "Cargo Media | EIA Cargo". Cargo.flyeia.com. Retrieved 2016-05-24. این صفحه آخرین‌بار در ‏۲۶ ژوئیهٔ ۲۰۱۸ ساعت ‏۲۲:۱۴ ویرایش شده‌است.